July, Friday 12 ~ Monday 15. More information and details, Coming Soon!! 2nd. 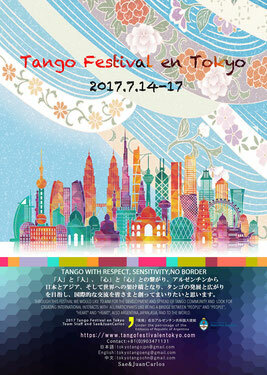 TANGO FESTIVAL en TOKYO 2018. July, Friday 13 ~ Monday 16. Dear Friends, Thanks Thanks a lot for sharing your heart, tango and time with all of us!! TANGO with RESPECT, SENSITIVITY, NO BORDER!! 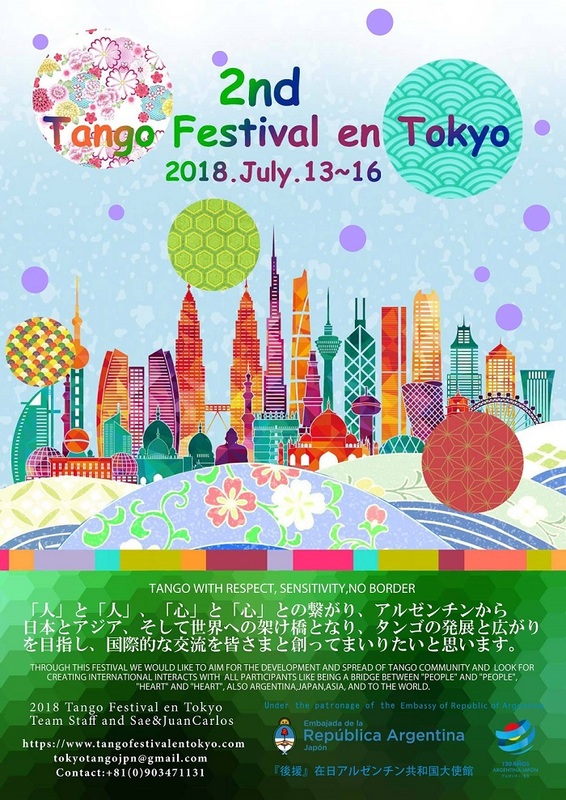 One more time, a special 4 days tango event which are going to be held from July 12th to 15th at the beauty of Japanese morning glories season. 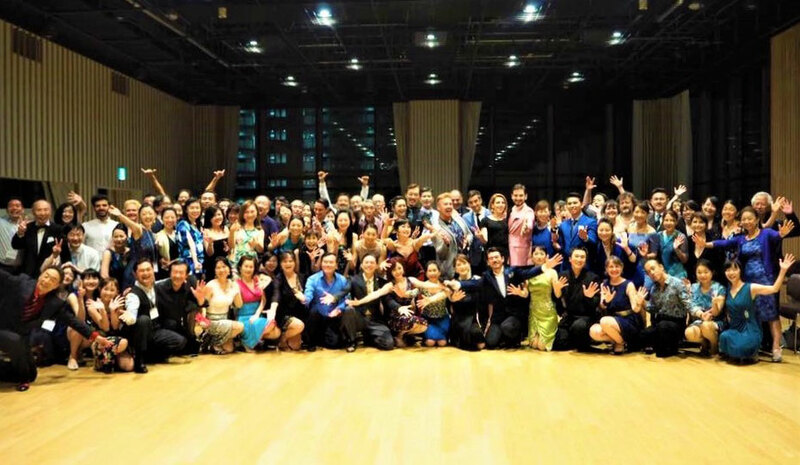 Through the culture of tango,acknowledged as an UNESCO intangible cultural heritage, we would like to connect one person with the other just like building the bridges between Japan and Asian countries, and also the World. 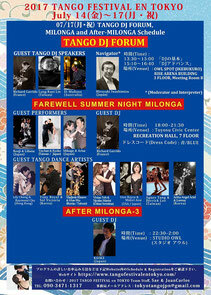 Also we will aim for the furthermore development and expansion of tango. 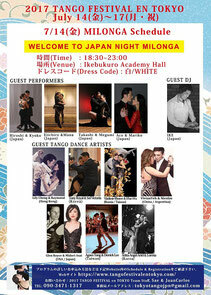 We would like to create the new international interact sharing the impressive tango moments together. We are looking forward to see everyone's joy and smile at this festival. "Life as a song of tango"
Tango is often described as a metaphor for life. You may not know the sense of tango until you actually dance and feel it. It is an improvised dance which a man leads without words. 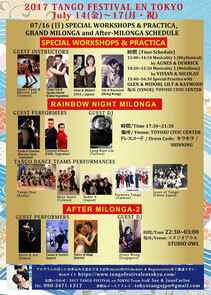 Tango crosses over different communities, cultures and languages. 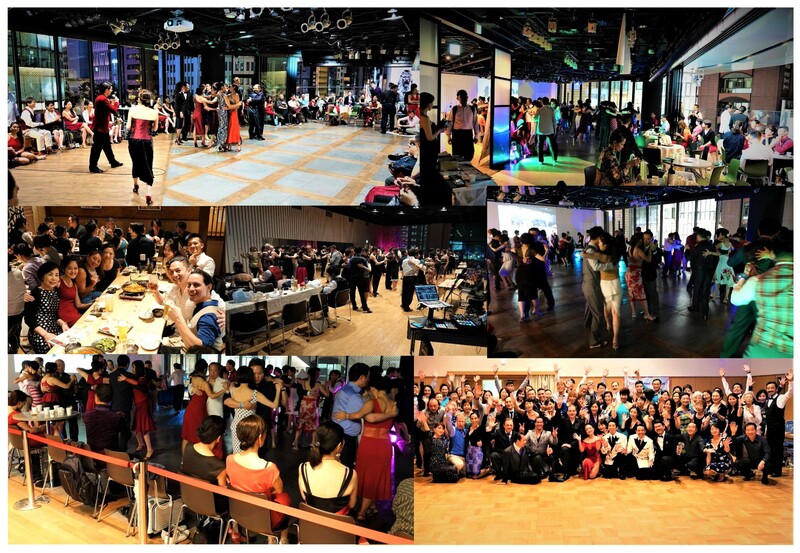 Through the common language of TANGO people all over the world can share the beautifully transient moment with tango music and communicate with each other from the bottom of their hearts. Life is a continuous encounter, separation and a series of choices. In Buenos Aires people in their 70`ｓ and 80`ｓ are still actively dancing salon tango, accepting their lives as they are and enjoying the present moment together. We can learn lots from their many experiences both in life and in tango. Tango transcends social status and age, creates propriety and respect, and connects tango lovers' in both body and spirit via a shared fleeting moment together.